This approach to happiness is simple and profound. Break through your stress patterns with the skills of Deep Relaxation and energy breathing. Cultivate Inner Peace and happiness with a combination of Meditation, Mindfulness and consciousness breathing techniques. In this course you will be taken through the deep relaxation/meditation skills needed to break your difficult emotional stress patterns while you learn how to create a healing response for all your life's ups and downs. This is an opportunity to change your life for the better, if you are truly ready to let go your old conflicting beliefs and reset your body/mind responses to life. 'Breaking the Stress cycle' places the emphasis on you having an experience of deep inner calm straight away. 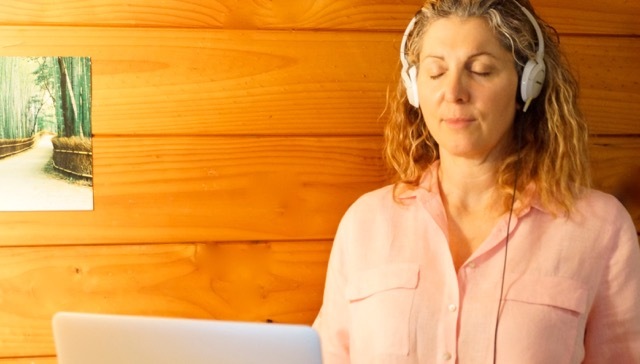 *guided Meditation cycles that have been created, to include specially composed Alpha brain wave music, that help you let go unwanted stress patterns and tense emotions, easily and naturally. *specially chosen breathing techniques and you will have a system of deep relaxation and meditation that focuses your healing energy on realigning the body, heart, nervous system and brain. Support and guidance: Yes, you will experience the release of your negative stress patterns, but not by just reading about it. In this program you are given the support and guidance on 'how to' create lasting change. While listening and practicing the deep meditative/relaxation cycles, your nervous system and brain will begin to rewire, while developing new neural pathways. This in turn creates changes in bio-energy and hormones, stimulating a change in the brain's biochemistry. These are the ingredients needed to grow new circuits and make a new brain which in turn affects who you will be in your future. The techniques taught are based on new Brain research taken from the fields of Quantum Science, Epigenetics and Neuroplasticity, coupled with the Ancient Eastern traditions of Meditation and Vital internal energy building. Once you reconnect your brain and nervous system by gently removing the internal stress that separates and divides them, you will discover a vast resource of infinite intelligence waiting to assists you on your journey to optimal health and wellness. If you have always wanted to meditate, but have found it too hard to sit still and be quiet, then 'Breaking the Stress Cycle' will teach you the fundamentals needed to practice a meditative practice that leads to a peaceful mind and a loving heart. 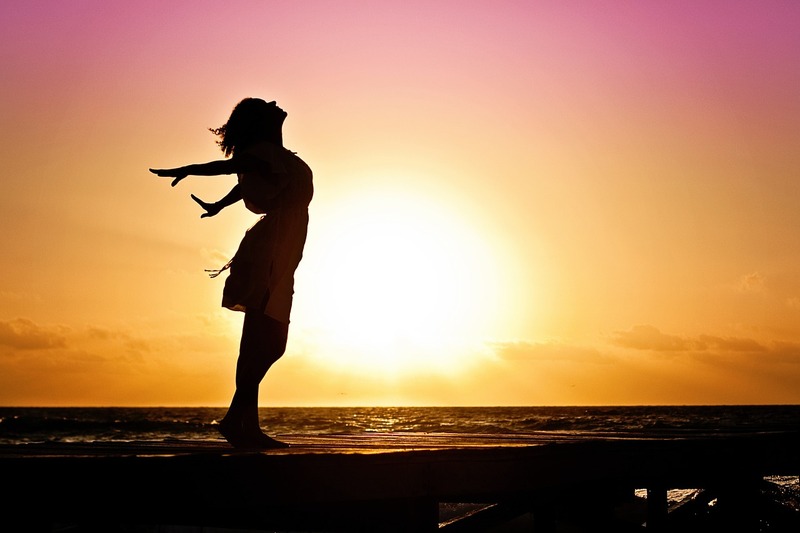 This course holds important keys to *self acceptance of your true nature *happiness *sleeping better *developing higher intelligence *improving the immune system *speeding up recovery for illness and *revitalising the body’s energy systems. It is clear, easy and practical. All these marvellous changes are possible when you are willing to take the time to let go and drop into a regular practice of ‘Deep Meditative Relaxation’. Are you ready to change your mind and your heart? I am an Energy Medicine Practitioner, spending the last 35 years as a Doctor of Traditional Chinese Medicine,(now retired). I majored in the fields of Acupuncture (Traditional Chinese Medicine) and Medical Herbalism. Over this time my continuing on going education has been in the areas of Kinesiology, Deep RelaxationMeditation, Emotional Freedom Techniques, Qi Gong/Tai Chi Chuan and Accelerated Wholebrain Learning. My work in these areas has helped me discover valuable simple supportive methods within the fields of Energy Medicine, Quantum Science and Traditional Eastern Philosophy, for helping people turn their lives around, to help them heal and create lasting, positive, uplifting change in their lives. Special interests are in teaching and practising Deep Relaxation/Meditation and the powerful techniques of Accelerated-Whole brain learning. I have a specific interest in bridging the gap between spirituality and quantum fields of consciousness, especially within the areas of Self transformation, energy healing and the awakening of our higher intelligence. You could say I love to demystify ancient wisdom and quantum science in the areas of mind and body. I am a long term enthusiast of everything to do with learning how to expand our human consciousness. Don't hesitate to drop me an email if you have any questions about how this Course might help you. The Biology of Stress Pt.1 Why is it so important for you to let go your stress? The Biology of Stress Pt.2 - Why do you need to quickly release excessive amounts of negative stress? Introduction to the 4 Awarenesses- How long will it take for you to be happy and free of stress? Breathing as if your life depends on it! 2. Alternate Nostril Breathing technique for Whole-Brain and Emotional Integration. How the Law of Change helps you clear your stress and choose again. 9. A Meditative Practice to help you Break the Stress Cycle in a peaceful and gentle manner. Thank you so much for your course. I have gotten so many skills and learnt so many new and exciting ways to better my every day life. Have already shared my love and joy of your course with many friends. Absolutely fantastic course. I would highly recommend it to everybody! Truly a pleasant enjoyable and authentic learning experience!